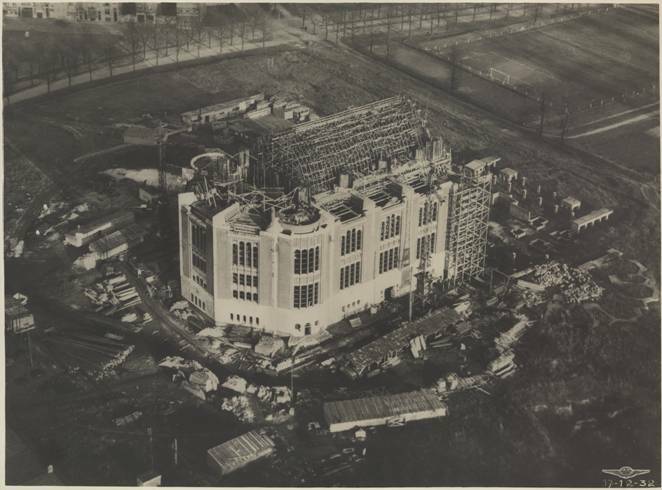 After the rejection of the Langerock project after World War I (due to the high production costs), the architect Albert Van huffel (°Ghent 1877 - ┼ Tervuren 1935) was asked to design the Basilica of the Sacred Heart. Due to his modest origin, Albert Van huffel combined his studies of Expressive Arts in the Royal Academy of Fine Arts in Ghent out of necessity with an education in several practical skills. Afterwards, he settled as an independent architect and decorator. 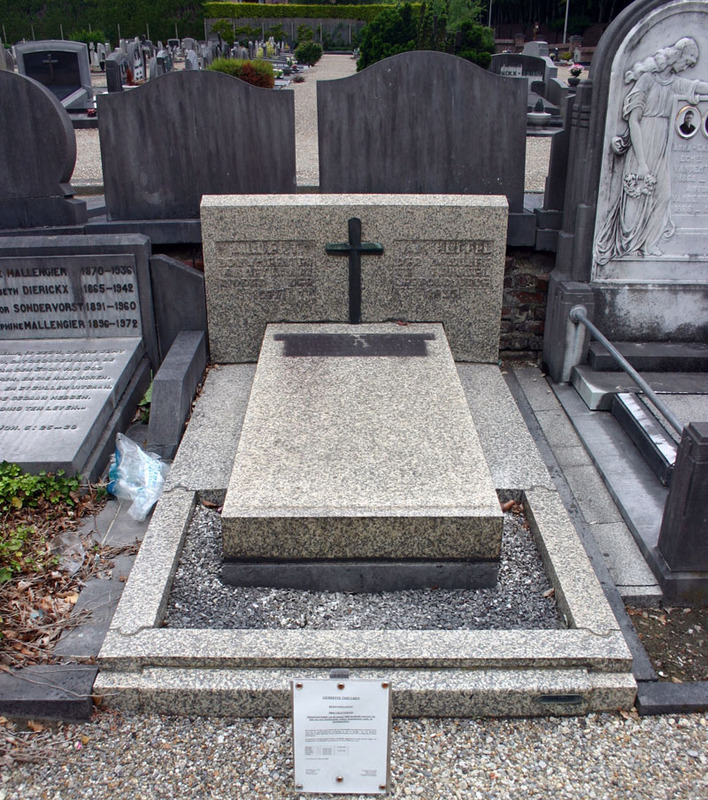 From 1918 till 1925, he was artistic director of the company lArt Décoratif Céline Dangotte in Brussels. He was also head of the ornament course at the Higher Institute for Decorative Art in Brussels. The early work of Van huffel was eclectic, but in the 1920s there was an important evolution. Simplicity and geometry had become the most important characteristics of his work. Van huffel is looking for a coherent, functional and beautiful aesthetic, in which furniture, decoration and architecture are integrated. In 1921, his first project for the basilica was ready. 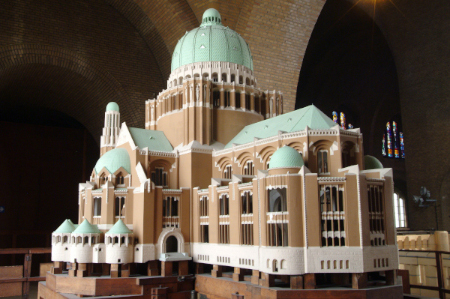 With his scale model (1/40) of the basilica he won the Grand Prix for Architecture at the Exposition Internationale des Arts Décoratifs et Industriels Modernes in Paris. You can still see the model in the basilica. After the death of Albert Van huffel in 1935, his assistant and successor, engineer-architect Paul Rome, continued the project. He changed hardly anything to the design. He only made a few technical improvements and some modifications at the cupola.